System solutions from the Lapp Group are internationally recognised as being of superior quality and extremely reliable. Even automotive manufacturers and suppliers stand to benefit from the 50 plus years of experience boasted by Lapp in mechanical and plant engineering, particularly when it comes to hybrid and electric vehicles. 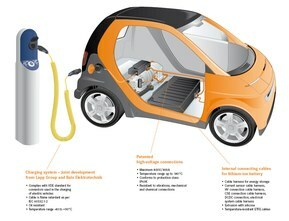 The Lapp Group is a pioneer of e-mobility: It is one of the first companies to develop a compatible, production-ready complete charging system with cables and connector that complies with the new VDE standard. The charging system was developed by the Lapp Group in conjunction with Bals Elektrotechnik GmbH from Germany‘s North-Rhine Westphalia. 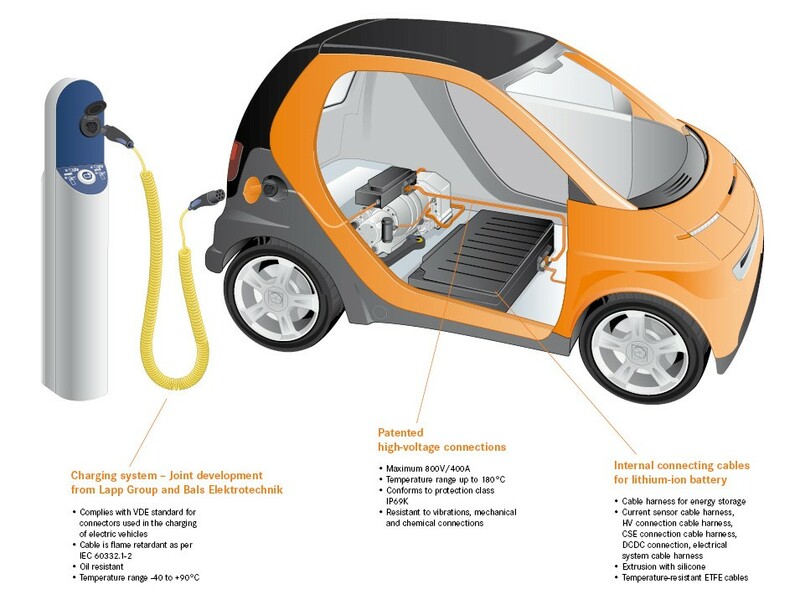 Lapp products do not only provide charging solutions but are also capable of meeting the latest requirements set by the hybrid and electric vehicles. Patented high-voltage cabling from Lapp is used to supply the electric motors with energy. Leading automotive manufacturers and suppliers also already use the cables and connectors from Lapp for the internal connections in lithium-ion batteries.